The pre-evening gig was preceded by an afternoon Improvisation Workshop led by Beatrix Ward-Fernandez with a decent turnout for the session. This started with a general discussion around improve and its impact on the individual, the players and the audience. 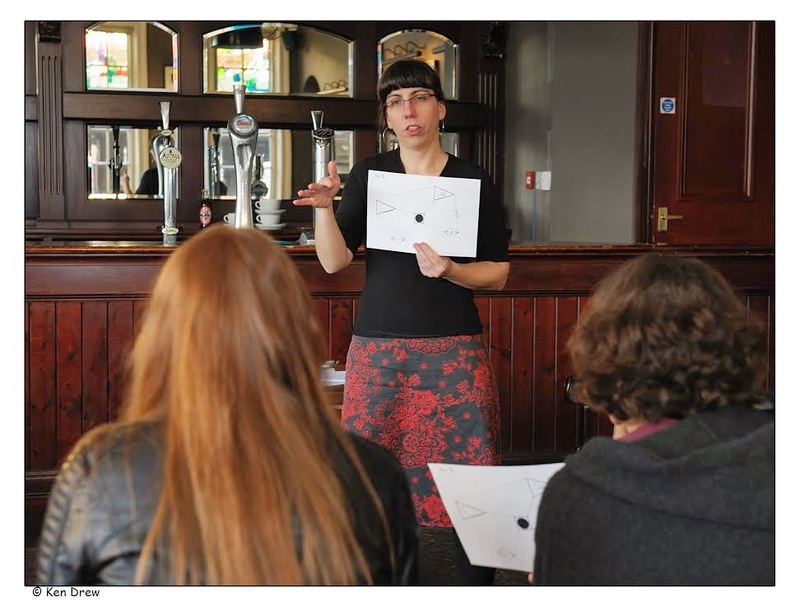 Then straight in to some improv practice – using cards as keys to different forms of stimulus / expression, directed by Beatrix who conducted the changes. Quite an acceptable result considering the diverse range of participants ! And finally a free-improv session where Beatrix joined in on the Theremin (Etherwave Pro) with similarly good results but with an obvious freer form overall. 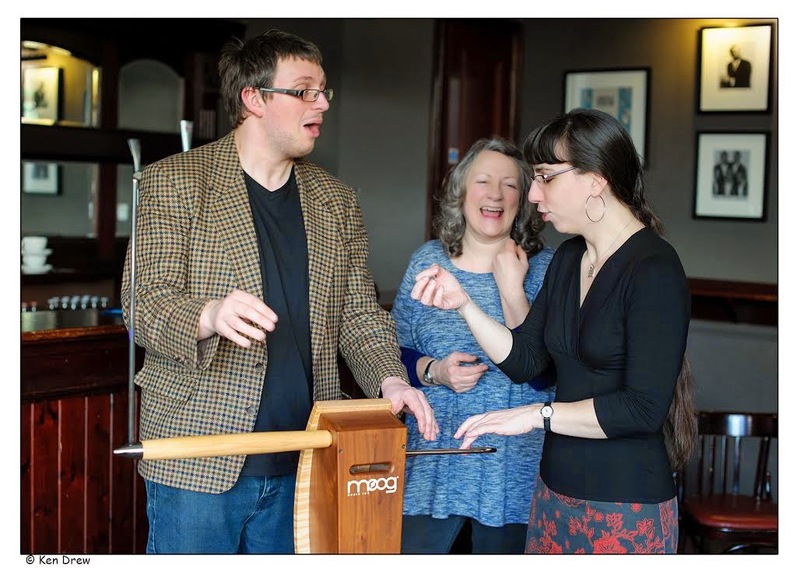 After the Workshop, those in awe of the Theremin took the opportunity to ‘have a go’. Compared to the ‘standard Etherwave’ it has a much broader range of pitch (goes much, much lower !!) and is ‘easier’ to control for both pitch and volume. Instructional classes are recommended for those tempted to progress !